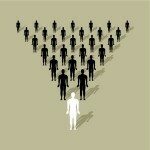 Multi-Level Marketing (MLM) was invented in America. However, most of the largest and best known American MLMs have saturated USA markets for growth and now get the majority of their money from recruits outside the USA. Resourceful schemers in other countries have seen the money made by the American MLM owners and are now creating their own MLMs. Some of them are now exporting their operations back into the USA and are recruiting USA victims. Ironically, some American consumers believe the Euro or Asian MLMs are more legitimate because they are foreign-based! One of these is a scheme based in Austria, called Lyoness. This MLM bears a striking resemblance to the American scheme, Fortune High Tech Marketing, that was prosecuted and closed down by the FTC for pyramid fraud. Like FHTM, Lyoness is supposed to be about discount shopping but it has become hugely popular among those seeking income. In addition to claiming to offer “discounts” in stores, it also claims to offer a “business opportunity” to all members. It now claims nearly 3 millions members. The Lyoness scheme, like FHTM, claims to have affiliations with name brand companies which Lyoness members can get rebates or discounts from when they shop. They also get financial rewards based on the purchases of their recruits, and their recruits, ad infinitum. The “endless chain” promises “unlimited” expansion and profit. Using the usual MLM disguise of “product purchases” to cover over a pyramid money transfer, Lyoness is claiming that its upfront charge of about $2,600 is a “downpayment for future purchases.” No accounting is made regarding how much of the money is ever used toward purchases. However, if investors who pay this money recruit many others to also pay $2,600, they can receive a portion of it in multiple levels. The new investors, in turn, can do the same, forever and ever. This was precisely the same pattern at FHTM where product purchases were overshadowed by an “endless chain” money transfer scheme involving initial and ongoing payments to participate. Now consumers, whistle blowers and European authorities are looking at Lyoness and are asking “where does the money really come from”. They also are wondering how Lyoness can promise income to all forever, regardless how large it gets? A video news presentation from Austria with English sub-titles. It is thorough. Worth the time to watch. Straightforward and insightful analysis, the Blog, “MLM The American Dream Made Nightmare”. See the Wikipedia description of Lyoness. Go to the “controversy” and “legality” sections.